I was really looking forward to flying with South African Airways (SAA) and I’m glad to say I wasn’t disappointed. This was my first time travelling with a major African airline so I was quite intrigued. The plane departed 10mins early (every minute saved counts), which is quite unusual for me as flights I’ve had to other African countries (won’t name and shame) have always been delayed. The flight was just over 10hrs long to Johannesburg and it even managed to arrive early! Question; how can you not love SAA? When I entered the plane I immediately fell for the colour scheme, which was a mix of beige, cream and caramel with a hint of light blue stripes on the seats. Simple, neutral colours. Small packages were on each seat and inside was a toothbrush and paste, socks and a blindfold to help make the journey more comfortable. The entertainment had a really good mix of old and new films from True Lies to Mad Max; Fury Road. I must confess I watched Mad Max again for the fifth time this year. Sad I know but I love that movie soooooooo much! There was also a good selection of African movies and TV programmes. I particularly liked the adverts before the movies about South Africa’s passion for rugby and Nelson Mandela. Did you know there is a South African version of Strictly Come Dancing? Like Amarula? This is South Africa’s signature beverage. It’s creamy, a little spicy and goes down very well with ice. You order one and you are given two miniature bottles. Did I mention all drinks are free? Now as for airplane food I’m not a big fan however the menu sounded interesting. I had the chicken, pilau rice and vegetables with salad. The salad was fresh, the rice was well cooked and the chicken was very tasty. The transit flight to Malawi, was just as good. The plane was small, with a similar decor of dark brown and cream leather seats. I’ve never had a proper meal on a 2 hour flight before so I was very surprised when I saw the trolley coming. 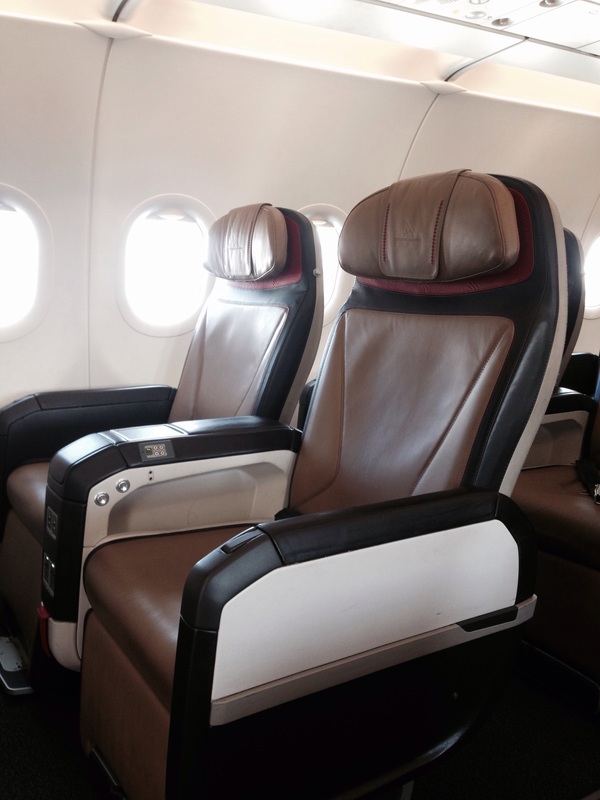 My verdict on SAA…the best flight I’ve had so far!